It was on the 19th March 1866, the Feast of St Joseph that Mary MacKillop wore her simple black dress to Mass, made her commitment, and so began the order of the Sisters of Saint Joseph. In Joseph, we recognise that capacity for courageous decision making and a solid trust in God that enabled him to make life-giving choices. The stories outlined in pages of our newsletter are a testament to the fact that those good works and courageous decisions continue in our world through Mary MacKillop Today. With the personal stories of Clara from Timor-Leste and Aiden here in Australia demonstrating the truly transformational impact you are having. As we enter the Lenten period please know that your generosity gives vital support to the communities we work with in Australia and around the world and for that we are truly grateful. 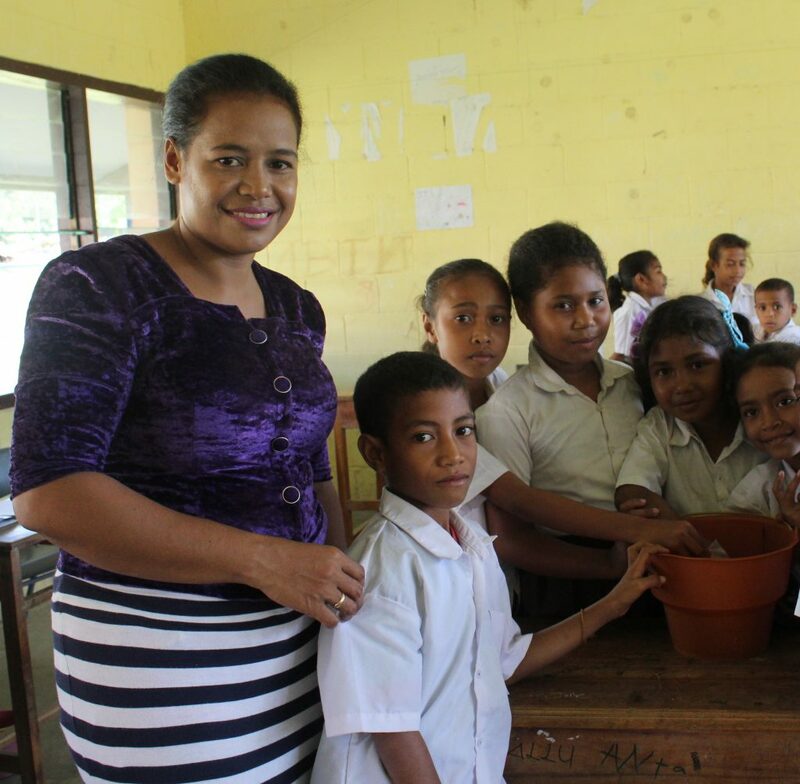 Clara teaching children in Timor-Leste how to avoid preventable diseases.